Each customer and project are different, but every multi-family development follows a similar road to completion. With Advanta Cabinets, you can trust that our wide variety of products and services means we will be able to support you, and tailor to your project’s needs, from start to finish. We provide a comprehensive customer experience for new construction and rehab projects in the multi-family industry. 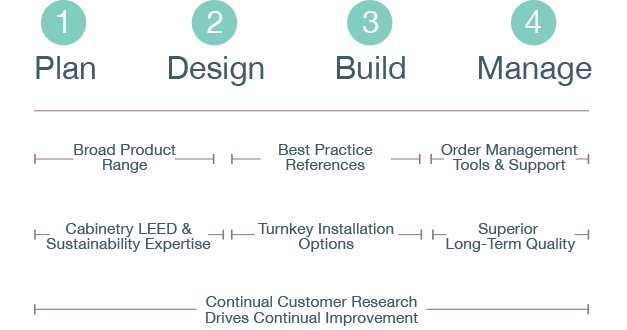 Advanta enables our customers’ success by going beyond the sell-in process to support their entire project timeline.